There are very few cities that truly "have it all." In my opinion, Orlando, FL. is one of them. No matter what you might be looking for, whether it's fun in the great outdoors, thrills, or just a good old fashioned family vacation, Orlando has it covered. So, when I was asked by Knok.com to contribute a post to their list of "100 Cities to Home Swap Before You Die," I knew Orlando would be my choice. Knok.com is a site that helps facilitate home swaps all over the world. Just like the movie "The Holiday," people can swap homes for a set period of time and really live in the dream city of their choice. I was asked to write about the perfect day in the perfect city, but the fact is, what's perfect is different depending on what you're looking for, which is why Orlando is the perfect destination choice. 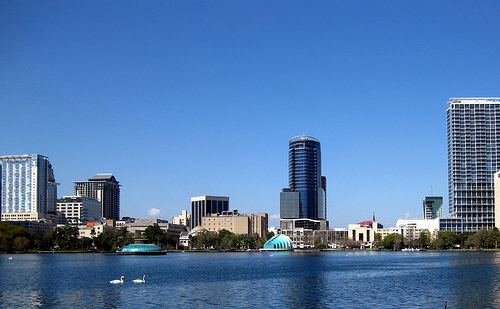 Check out the perfect day options from Orlando below, based on different vacationers' desires. 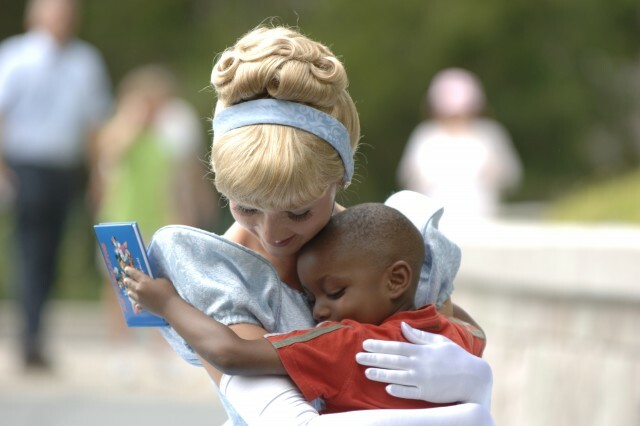 I can think of no better day for families in Orlando, than visiting one of the city's many theme parks. Your choices include Disney World and its four family oriented theme parks, Universal with its first rate simulated rides, Sea World with its myriad of educational, fun and animal filled features and even LegoLand, where you can enjoy a theme park and water park all rolled into one. It could easily spend the entire day taking in shows, experiencing rides and enjoying delicious food in any of these theme parks. Want to pack a little learning into your vacation? 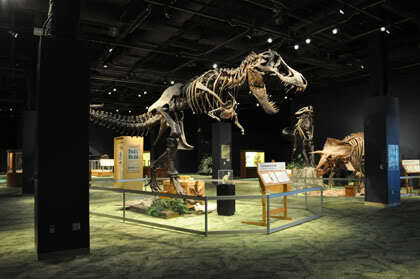 Your day would start with a visit to the Orlando Science Center, where its various floors of interactive exhibits would keep you learning for hours on end. After that, head to the Orlando Museum of Art and take in beautiful works of art from some of the world's finest artists and even pick up a little history with their display of "Life Stories: American Portraits Past and Present. End your educational day with a dinner at Medieval Times, where you can throw little learning in with plenty of fun, as you wander through their museum area full of medieval displays before the dinner show begins. Grab a quick bite to each in the morning and then head out on a short drive from Orlando to Florida EcoSafaris. Enjoy a coach, horseback or zipline safari and take in gorgeous southern scenery, fresh air and plenty of animals as well. Enjoy a delicious lunch in their on-site restaurant and then head off to Boggy Creek Airboat Rides for some adventure in the outdoors. Glide across the water of the Florida swamp at thrilling speeds and if you're lucky, catch an alligator or two in their natural habitat. Haven't gotten enough of the gators? Take a trip to Gatorland and experience these powerful creatures up close and personal. You can even try your hand at feeding them if your brave enough. End your evening with a picnic dinner and call it a day! See? No matter what your're searching for, Orlando has it all. From thrilling rides to quiet nature trails, you can plan the perfect day in my perfect city of choice, Orlando. This post is part of the initiative “100 cities to home swap before you die” from Knok.com. I hope to take my daughter there in a couple years. Orlando is definitely a magical place. I have not been since I was 8. Need to go back! I love Orlando, There is so much to there! I want to go to Orlando again. I would so love to go, if only to bask in the sunshine for a week. I was able to go zip lining in Florida last year and had a blast. If we ever make it to Orlando, we're definitely going to DisneyWorld! I've never been to Orlando, but hopefully I'll be able to go one day! I love Orlando! I can't wait to bring my children there! Wow, I had no idea the area had so much to offer. We only did WDW so I think we missed out on a lot of family fun! I want to go there so bad! We're planning on going but not for another few years. I really love Orlando and Kissimmee, I am so lucky to be so close to them both! We LOVE visiting Orlando - we have been on so many vacations there. It's time to back, I think it's been 5 years since we've been. There is a tin of stuff to do in Orlando! There are SO many cities here in the US where I yearn to visit. Orlando is a great place to go! I feel like I'm the only person who has never even been to Florida. :/ One day, though! Can't wait to head to Orlando in just a few weeks. There's so much fun to be had in Orlando. I can never get out of Mickey's back yard though! Orlando is hands down in my top 3 cities to visit! There is so much to do you just have to keep going back! I was able to go to Orlando last year and have been wanting to go back ever since.